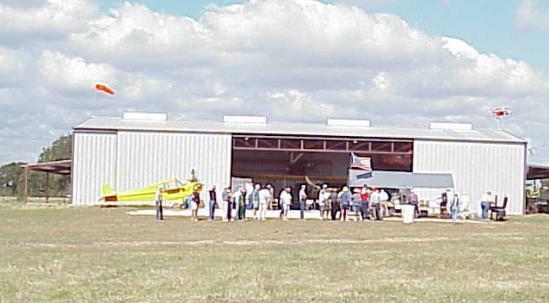 Our Fall Fly-in and Picnic was held on October 20, 2001. Ron Hozza did a fine job organizing all of the details, and the weather was great. About 32 planes of all types flew in and parked on the field. This aerial shot shows the aircraft parking area with about half the total number of airplanes that eventually made it to the picnic. 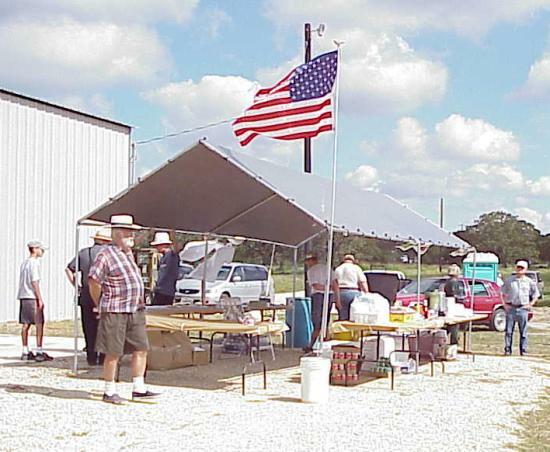 Bill Shoup and many other PFM volunteers were there early to set up the grills, tables, and tent to shelter the food and souvenir sales. The food tent got very popular around noon, for some reason! The Museum's equipment was out and on display. 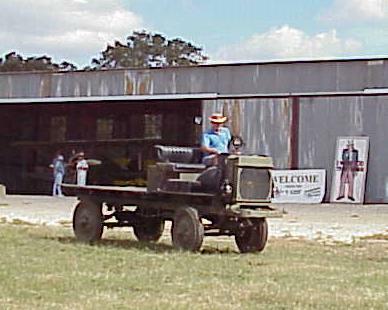 Here, the 1918 Nash Quad four-wheel drive truck drives in front of a hangar. 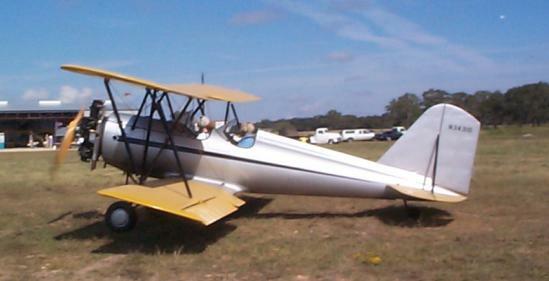 The flyable airplanes were also out hopping rides. The Meyers is always a hit, and nothing beats an open-cockpit ride on a warm day! Roger Freeman took several people for rides during the picnic.